Some of Canada's biggest universities are beginning the new school year with a record number of international students on campus. The steady upswing in foreign applicants began several years ago, then started to spike after the U.S. federal election in 2016.
International applicants spike in the aftermath of Donald Trump's election in the U.S. Some of Canada's biggest universities are beginning the new school year with a record number of international students on campus. The steady upswing in foreign applicants began several years ago, then started to spike after the U.S. presidential election in 2016. The challenge for the Canadian government now is to maintain that trend amid competing countries, and to encourage more from the talented pool to stay on as permanent residents. 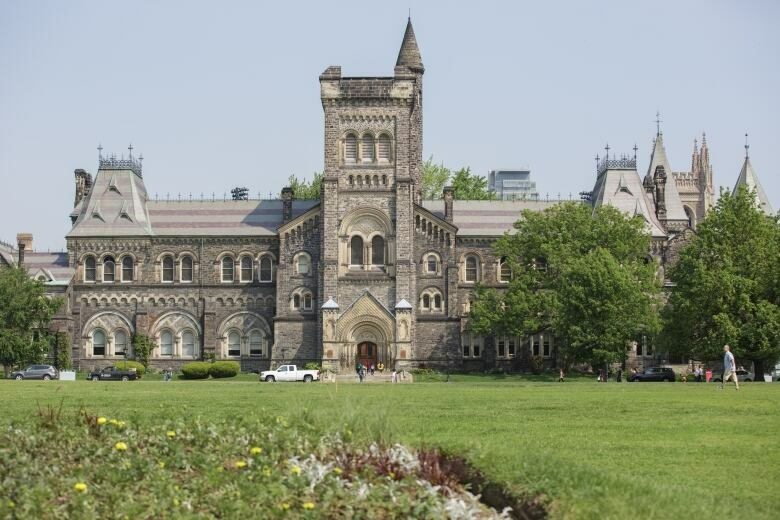 The University of Toronto, Canada's top draw for international students, enrolled 17,452 international students in undergraduate and graduate programs last year, making up about 20 per cent of the overall student body. That compares to 7,380 international students comprising about 10 per cent of the total student population a decade ago, in 2007. Will U.S. uncertainty mean more cash for Canada? The university's steady increase became a spike after U.S. President Donald Trump was elected. "Clearly there are things about the international situation — worries about stability, Brexit and the U.S. political environment — that have changed or increased international students' interest in looking beyond their own countries and beyond the U.S.," said Richard Levin, executive director of enrolment services and university registrar. "Now in places like that, students are looking for alternatives and Canada is presenting as a good one in terms of stability, safety and inclusiveness." According to data provided by Universities Canada there has been a sharp increase in both applications and website traffic from the U.S. and abroad since the 2016 U.S. election, with many seeing a 20 per cent jump or more in applications. Levin said the university's current goal is to keep the level at about 20 per cent of the overall student population in coming years, but to diversify with students from all parts of the planet. He said there is little concern about culture clashes with an increasingly diverse population. "One of the best ways to grow understanding is to bring them together," he said. According to the Canadian Bureau for International Education, some of the main countries the students come from include China, India, South Korea, France, the U.S., Saudia Arabia, Nigeria, Japan and Brazil. Universities also report a recent increase in the number of applicants from Turkey. The upward trend for international students is happening at other universities too, including the University of Ottawa, where the foreign student population of 1,959 nearly tripled to 5,583 in the last 10 years. The number of international students in elementary and high schools has also been on the rise, according to the Canadian Bureau for International Education. 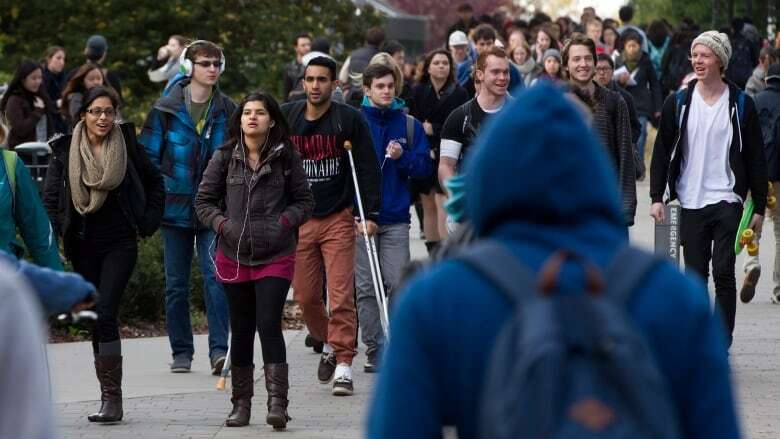 The University of British Columbia, which has the second highest number of foreign students in Canada (behind U of T) and the third in North America (behind New York University), has seen its international numbers go from 9,144 in 2012 to 14,433 in 2016. Students come from more than 150 countries. Pam Ratner, vice-provost, enrolment and academic facilities, said there is little data on how many of the graduates eventually live permanently in Canada. But while they're here, international students enrich the cross-cultural learning environment, and many of those who stay on launch businesses and create jobs, said Ratner. "They're truly extraordinary," she said. "Others have come because they're here on scholarship and they have a strong commitment to return to their home country, to provide leadership whether it's in government, industry or in civil society in some way." Immigration, Refugees and Citizenship Minister Ahmed Hussen has been promoting Canada's programs designed to attract skilled immigrants and retain international students after they graduate. This summer he travelled to Europe and several countries in Africa including Ghana, Senegal and South Africa, speaking with students and stakeholders and highlighting the express-entry system that fast-tracks applications, as well as other programs that help students settle in Canada long-term. 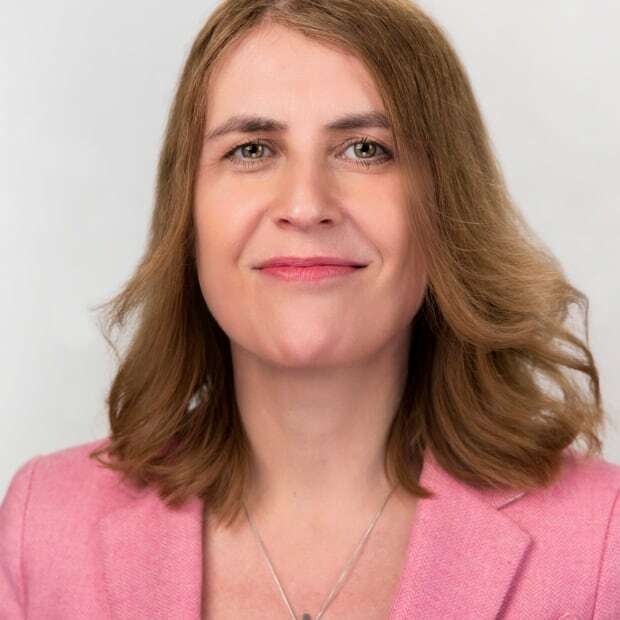 "We recognize that international students are often ideal candidates for permanent residency, given their language proficiency, Canadian education credentials and Canadian work experience," said a spokesman for Hussen. Students can now work part time while studying without a separate work permit, and most international students are able to apply for a work permit that allows them to remain in Canada for three years after graduation. Patrick Snider, director of skills and immigration policy for the Canadian Chamber of Commerce, said those measures are attractive to prospective international students, who he called "ideal" candidates for Canadian citizenship. "These are people who have already proven themselves successful in the Canadian education system, who have been supporting themselves for years in Canada, and who have Canadian work experience before their graduation. As such, we really can't pass up that opportunity to tap that resource as much as we can as a tool to grow the economy," he said. But he urged governments not to focus on countries that are becoming less welcoming and instead on those who are competing for top talent, including France and Ireland. Snider said the government could do more to encourage people to transition from graduate to permanent resident, including streamlining the application process, giving more points to work experience and ramping up outreach efforts to spread the message that Canada's door is open. He said Canada must make sure "that students are able to receive credit, navigate the system and know what kinds of opportunities are available here."